Since the first association of the retrovirus XMRV with chronic fatigue syndrome in 2009 in the US, subsequent studies have failed to detect evidence of infection in patients from the US, Europe, and China. These studies were potentially compromised by a number of factors, such as differences in patient characterization, geographic locations, clinical samples used, and methods used to detect the virus. These and other potentially confounding conditions have been addressed in the most comprehensive study to date on the association of XMRV with CFS. No study included positive samples from the original 2009 patient cohort of Lombardi et al. To address these issues, the authors collected blood from 105 CFS patients and 200 healthy volunteers in the Salt Lake City area. One hundred of the patients fulfilled both the CDC-Fukuda and the Canadian consensus criteria for diagnosis of ME/CFS. The patients were selected from a clinic that specializes in the diagnosis and management of CFS and fibromyalgia. New blood samples were also collected (by a third party) from 14 patients from the original study by Lombardi et al. The samples were blinded for subsequent study. Detection of viral nucleic acids was done using four different PCR assays. Anti-XMRV antibodies in patient sera were detected by ELISA. Finally, virus growth from clinical specimens was attempted in cell culture. The authors used the multiple experimental approaches reported by Lombardi and colleagues. Let’s go through the results of each assay separately. PCR for viral nucleic acids. Four different quantitative PCR assays were developed that detect different regions of the viral genome. The assay for pol sequences has been used by several groups and is the most specific PCR assay for XMRV. Three other PCR assays were also used that target the LTR, gag and env regions of XMRV DNA. These assays could detect at least 5 viral copies of XMRV DNA. The precision and reproducibility of the PCR assays, as well as their specificity for XMRV, were also demonstrated. DNA prepared from white blood cells of 100 CFS patients and 200 controls were negative for XMRV. For every 96 PCR reactions, 12 water controls were included; these were always negative for XMRV DNA. XMRV antibodies in human sera. To detect XMRV antibodies in human serum, a portion of the viral envelope protein, called SU, was expressed in cells and purified from the cell culture medium. The SU protein was attached to plastic supports, and human serum was added. Any anti-XMRV antibodies in human sera will attach to the SU protein and can subsequently be detected by a colorimetric assay (we have discussed this type of assay previously). This assay revealed no differences in the amount of bound human antibodies for sera from CFS patients or healthy controls. Some of the patient sera were also used in western blot analysis. Recombinant XMRV SU protein was fractionated by gel electrophoresis. The protein on the gel is then transferred to a membrane which is mixed with human serum. If there are anti-XMRV antibodies in the human serum, they will react with the SU protein on the membrane, and can be detected by a colorimetric assay. When rabbit anti-XMRV serum was used in this assay, the SU protein was readily detected. None of the human sera analyzed by this method were found to contain antibodies that detect SU protein. Infectious XMRV in human plasma. It has been suggested that the most sensitive method for detecting XMRV in patients is to inoculate cultured cells with clinical material and look for evidence of XMRV replication. The XMRV-susceptible cell line LNCaP was therefore infected with 0.1 ml of plasma from 31 patients and 34 healthy volunteers; negative and positive controls were also included. Viral replication was measured by western blot analysis and quantitative PCR. No viral protein or DNA was detected in any culture after incubation for up to 6 weeks. Analysis of previously XMRV-positive samples. Blood was drawn from twenty-five patients who had tested positive for XMRV as reported by Lombardi et al. These samples were all found to be negative for XMRV DNA and antibodies by the PCR and ELISA assays described above. In addition, no infectious XMRV could be cultured from these 25 samples. Presence of mouse DNA. After not finding XMRV using qPCR, serological, and viral culture assays, the authors used the nested PCR assay described by Lo et al. Although positives were observed, they were not consistent between different assays. This led the authors to look for contamination in their PCR reagents. After examination of each component, they found that two different versions of Taq polymerase, the enzyme used in PCR assays, contained trace amounts of mouse DNA. Given the care with which these numerous assays were developed and conducted, it is possible to conclude with great certainty that the patient samples examined in this study do not contain XMRV DNA or antibodies to the virus. It’s not clear why the 14 patients resampled from the original Lombardi et al. study were negative for XMRV in this new study. The authors suggest one possibility: presence of “trace amounts of mouse DNA in the Taq polymerase enzymes used in these previous studies”. I believe that it is important to determine the source of XMRV in samples that have been previously tested positive for viral nucleic acid or antibodies. Without this information, questions about the involvement of XMRV in CFS will continue to linger in the minds of many non-scientists. Given the lack of evidence for XMRV or XMRV-like viruses in our cohort of CFS patients, as well as the lack of these viruses in a set of patients previously tested positive, we feel that that XMRV is not associated with CFS. We are forced to conclude that prescribing antiretroviral agents to CFS patients is insufficiently justified and potentially dangerous. I was just giving an example of contamination which testing for mouse contamination would not detect. You said above that the samples were negative for contamination, while the samples were negative for *mouse* contamination. By your own (illogical) reasoning, Mikovits was pretty dumb to check for mouse contamination, as there was also no evidence for it. Then why check for mouse contamination? Just like mouse contamination has to be considered even when there is no evidence for it (that is why you check), human cell line contamination has also to be considered. Without the data to support your assertions, only beliefs. That is the impression you would like to give, but Shin et al was not a replication study. I feel very sorry for you considering the shock you are going to have, but it is worse for those with the disease that you are making light of this situation. Lipkin would expect clinically positive samples to be used. They have not been shown to have made any mistake. If others would apply the scientific method we would not have had so much time wasted. Could you give us a simple example of how the scientific method should be applied in a retrovirology validation paper? If not for me, do it so other scientists can correctly “calibrate” their future replication studies to that example. I am starting to get a tiny bit of a suspicion that perhaps you can’t give us an example. But of course, that isn’t right, is it? @Jane, I’ve heard that as a rumor since Dr Singh’s study came out, but I haven’t heard what the source of it is. Can you cite the source, please? @ ixchelkali, I’ve also heard this several times with no source given. Again, we are told there is a sequence, but we don’t know if it’s the published sequence with high homology to the XMRV that infects 22Rv1, or if it’s a different sequence. I think it’s important to substantiate this rumor. LJ, I think you’ve erred lumping Justin in with the wild-eyed trolls. It hurts to read his crie de coeur because, as an attorney before he fell ill, Justin is not one usually given to emotional outbursts or illogic. But like Justin’s pained cry above, even the once-most-professional among us are worn down by this accused disease and the abusive – yes, abusive – treatment meted out to us by others, from medical doctors to (former) employers to disability panels to callous relatives to (ex-) spouses, to government bureaucrats, and even to scientists, the list goes on. If you, LJ, are untouched by such ugliness, humiliation and cruelty from other because of this disease, perhaps you do not have it. Or you are independently wealthy. Or you live in a bubble. Please leave Justin alone. He is not the problem. You conceed that you would not be able to prove my Loch Ness monster results to be wrong, using your “age old scientific methodology that is the only way to go in science”? Anyway, thanks for at least finally trying to address the argument. The point is that by testing for mouse contamination and getting negative results, you are not proving that contamination has not occured. Since we know that a human cell line is producing XMRV (at large quantities and which doesn’t get “in” and “out” of the cell line as some believe it behaves in blood) and that testing it for mouse contamination will return negative results, this possibility has to be considered/addressed. He has asked you multiple times; it’s normal behaviour to then explain what you mean. Suggesting that it’s very clear but being unable to explain what you mean is not normal behaviour in science. No, I apparently fail at it just as hard as you seem to do. So, please, without further ado, please prove me and my silly, unprcedented and unscientific ideas wrong. “It hurts more because she seemed to be our friend. I met her in Reno last August. She was very excited by our responses to antiretrovirals, chosen because of her in vitro drug testing paper. Interesting that she was able to find XMRV in human tissue when she was studying prostate cancer in 2009 (XMRV is present in malignant prostatic epithelium and is associated with prostate cancer, especially high-grade tumors. Schlaberg/Singh). Odd that she so recently applied for a broad patent with respect to the virus. Then she stabs the WPI, a collaborator, in the back. Very peculiar behavior. My best guess? Follow the money. This is not acceptable behaviour. “Perhaps” Singh was first excited because of the available data and is now “switching sides” because she has now gathered new data through new experiments that she entered with an open mind? No, it has to be the money, while “we” are collecting like $500,- multiple times each say from desperate patients on tests that are very probably not working. Way to go, Jamie, you have sunk to a new low. The reviewer of Lombardi et al asked for extra testing in order to prove that it was not contamination. The immune response to an MLV virus supported the publication of the paper in Science. What are you now stating has not been published? It is normal to know if who the regulators are. It’s where to start isn’t it. You are not sure how to get the information. This is not an appropriate time to be laughing. This retrovirus is infecting people. Chronic fatigue syndrome is mainly known for Tiredness, weakness, exhaustion. corrects the imbalance making the patients cool and stable enough. Like LJ, I am a long time CFS/ME suffered with Fibromyalgia as well. I too was tested positive by VIPDx (the WPI lab offshoot) early in 2010. It was somewhat comforting to believe that we finally had an explanation for our condition, even if effective treatments or a cure were a long way off. But as study after study failed to confirm WPI’s results I had to step back and try to be objective. Honest mistakes happen and when they do and are discovered you accept them and incorporate what was learned and move on. Two years ago you (and the rest of us layman) had never heard of XMRV. 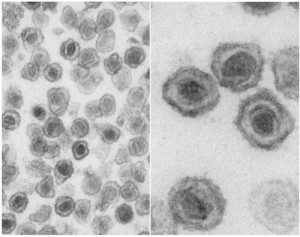 A scientific analysis appeared to show a link between this previously unknown retrovirus and our illness. When subsequent scientific analysis fails to confirm it, why do you, like so many others, suddenly reject the science and put your faith in people you don’t know? I come from a technical background and managed large scale technical development (but non-medical) projects for many years. I have had personal experience in trying to convince engineers who believed they had made “breakthroughs” that later proved wrong to give it up and let the facts and not their emotions dictate what we did. People can be blind and stubborn to a fault when they think they have an answer. But don’t listen to their emotions, look at the facts. It is unlikely that a vast multi-national conspiracy exists to suppress that XMRV is the key agent in CFS/ME. Honest hard working researchers from many backgrounds and locations can’t find it and the study this thread in linked to is the best I’ve seen yet. And to stand on my soapbox for a moment; maybe you don’t care about the science or medicine, but statements like “…if ‘the research world’ doesn’t like that sentiment then it can go to hell.” may make you feel better by venting your anger, but it reflects badly on you and everyone else with the disease. Those researchers are collectively the only hope we have to the real answers and possibly get better. Your anger is understood but it is misplaced. Interestingly, recent survey reveals that most of the addicted pain killer patients begun taking the medicines under medical supervision only. Pain killer addiction is mostly continues with the chronic pain patients. They feel need of the pain killers extremely whenever the pain is little more than tolerance. The quick action of pain relievers strike on the pain in the right manner. These are no doubt fast relief options by relaxing to patient considerably. While doctors believe any sort of addiction is more psychological, pain killer addiction is mostly for chronic pain management. FindRXonline in his blog mentions that doctors suggest the use of painkillers like vicodin, lortab, or hydrocodone, for pain although always indicated that we must be prepared for their side effects. Next post: TWiM 6: Antibacterial therapy with bacteriophage: Reality or fiction?